With a focus on commemorating the 100th anniversary of Australia’s involvement in the 1915 Gallipoli landings, it seems fitting to highlight the service of those Royal Australian Navy (RAN) ships that have proudly carried the name Anzac as a mark of reverence to the brave deeds of the men of the Australian and New Zealand Army Corps (ANZAC). 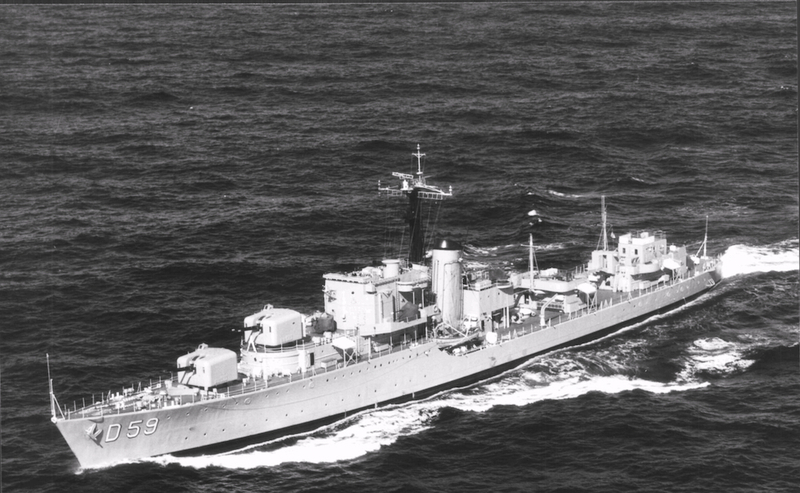 HMAS Anzac (I) was the last of six improved Kempenfelt class destroyer flotilla leaders built for the Royal Navy (RN) under an Emergency War Programme in the shipyards of Denny Bros Ltd in Dumbarton, Scotland. After commissioning into the RN as HMS Anzac on 24 April 1917, she became leader of the 14th Destroyer Flotilla based at Scapa Flow from where she conducted anti-submarine operations in the North Sea and the English Channel. In August 1918 she suffered extensive storm damage that stove in her boats and necessitated the replacement of her two small funnels. At the conclusion of hostilities, she was placed into reserve and temporarily laid up at Portsmouth. In 1919, Anzac, along with five S class destroyers, Tattoo, Swordsman, Success, Stalwart and Tasmania, was gifted to the RAN by the British Government. She commissioned into the RAN as HMAS Anzac under the command of Commander SH Simpson, DSO, RN on 27 January 1920 and on 26 February she departed Plymouth for Australia. The voyage was interrupted when she inauspiciously threw a propeller blade, forcing her to return to Plymouth for repairs. With a new propeller fitted, she departed Plymouth on 10 March 1920. Her voyage to Australia saw her call at Gibraltar, Suez, Aden, Bombay, Colombo, Singapore, Surabaya and Thursday Island before arriving in Sydney on 29 April 1920. Anzac spent the majority of her first RAN commission in eastern and southern Australian waters, punctuated by visits to New Guinea in June and July 1924, and again in May 1926. In December 1922, her commanding officer, Lieutenant Commander Reginald C Creer, RAN, had the rare privilege of handing over command to his twin brother, Lieutenant Commander Herbert V Creer, RAN. Anzac decommissioned on 4 August 1926 and recommissioned on 10 January 1928 under the command of Commander CH Ringrose, RN. On 9 June 1928 she stood by off the Queensland coast as Sir Charles Kingsford-Smith and his crew approached Brisbane on their historic flight across the Pacific Ocean in the Fokker F.VIIb/3m tri-motor monoplane, Southern Cross. Anzac was again in attendance off the New South Wales coast when Kingsford-Smith made the first non-stop trans-Tasman flight in Southern Cross that September. In July 1930, Anzac became the first command of Lieutenant Commander (later Vice Admiral Sir) John Collins, RAN. Under his charge the ship visited New Guinea and the Solomon Islands in September 1930. She decommissioned for the third and final time on 30 July 1931 and was subsequently placed into reserve. She was sold for scrap on 8 August 1935 and on 7 May 1936 her hulk was towed out of Port Jackson and scuttled in the Tasman Sea. The second RAN warship to carry the name Anzac was a Battle class destroyer. Laid down at Williamstown Naval Dockyard, Melbourne on 23 September 1946 Anzac (II) was launched on 20 August 1948 by Lady Collins, wife of the Chief of Naval Staff and aforementioned commanding officer of Anzac (I), Vice Admiral Sir John Collins, KBE, CB, RAN. Anzac (II) commissioned at the dockyard on 14 March 1951 under the command of Commander John Plunkett-Cole RAN, and was accepted by the RAN from the dockyard on 22 March 1951. Following a period of working up and exercises in eastern Australian waters, Anzac departed Sydney on 30 July 1951 for Korean War service where she spent the greater part of the next two years. Her duties included bombarding enemy shore positions, supporting United Nations forces ashore and screening aircraft carrier groups against attack. During the Royal Tour of Australia in 1953-54 Anzac carried Her Majesty Queen Elizabeth II, HRH the Duke of Edinburgh and the Royal Party on visits to several Queensland ports before continuing on to Papua and New Guinea waters. Other periods in northern waters included four tours as part of the Far East Strategic Reserve (FESR) based at Singapore, during which time she conducted a goodwill visit to the Republic of Vietnam in October 1956. Anzac’s last FESR deployment covered a nine month period in 1959. In execution of those duties, Anzac took part in myriad exercises with the naval forces of the South East Asia Treaty Organisation (SEATO) nations. In March 1961 Anzac became a fleet training ship assigned the important task of training young seaman officers for the fleet. This new role required the removal of much of her original armament, notably B gun turret, which was replaced by purpose-built classrooms and other training aids. Her trainees included cadet midshipmen from the RAN College at Jervis Bay, supplementary list midshipmen of the RAN and, from 1968, midshipmen from the Papua New Guinea Division of the RAN and officer cadets of the Singapore Defence Force. These young officers would normally spend about three months in Anzac as part of their initiation into life at sea. During that time they received practical instruction in navigation, seamanship, engineering, communications and many other aspects of naval life. It also gave them exposure to other cultures during port visits to countries throughout the South Pacific. In 1963 Anzac circumnavigated Australia while escorting the Royal Yacht Britannia during the 1963 Royal Tour of Queen Elizabeth II. Later, in May and June 1964 she embarked the Governor-General of Australia, Lord de Lisle, and his daughter, the Honourable Catherine Sidney, for a tour of Papua and New Guinea. Between May and June 1968 Anzac briefly returned to active service, escorting the fast troop transport HMAS Sydney (III) to Vung Tau, Vietnam. The following year she deployed to the Pacific visiting Tahiti, Western Samoa and New Zealand where she took part in bi-centenary celebrations held in Gisborne commemorating the landing of Captain James Cook in Poverty Bay. In 1970 Anzac again participated in Cook celebrations when she participated in a ceremony at Possession Island, Queensland, the site of Cook’s final departure from Australia. In 1971 Anzac returned to New Zealand and in March 1972 she joined ten RAN patrol boats in an exercise conducted in the Milne Bay area off Papua New Guinea. During her twilight years she returned to New Zealand and Fiji in the course of further training cruises. Anzac arrived at Garden Island, Sydney on 11 August 1974 to prepare to pay off for disposal. She had steamed 693,582 nautical miles since commissioning and was paid off at Sydney on 4 October 1974. On 24 November 1975 Anzac was sold to Hifirm Corporation Ltd of Hong Kong for breaking up. She was towed from Sydney by a Japanese tug on 30 December 1975. 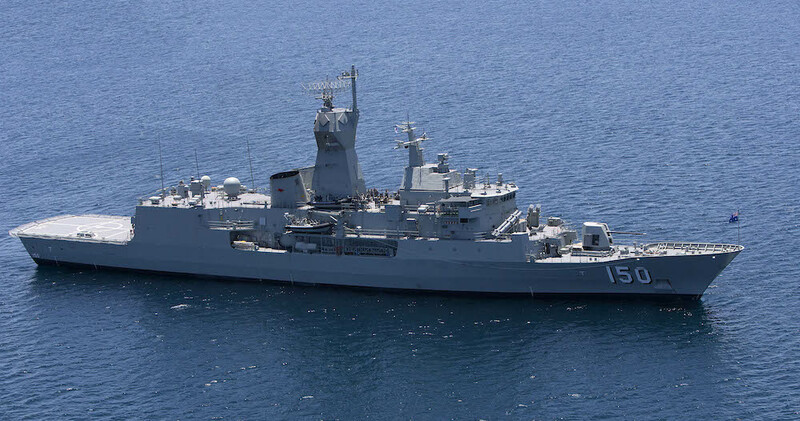 The current HMAS Anzac (III) is the lead ship of ten Australian built frigates based on the German MEKO 200 platform design developed by Blohm and Voss. The Anzac class, as they are known, have been enhanced to meet the specific regional and strategic requirements of the Royal Australian and Royal New Zealand navies. Their modular construction saw components for the eight Australian and two New Zealand vessels fabricated in both countries and assembled by Transfield Shipbuilding Pty Ltd, Williamstown, Victoria. The Anzac class are equipped with an advanced weapon and sensor suite comprising air surveillance radars; hull mounted sonar and electronic support systems that interface with state-of-the-art weapons systems. Anzac's armament comprises Harpoon and Evolved Sea Sparrow missile systems, a 5-inch (127-mm) gun, and ship launched torpedoes. The ship can also embark a multi-role Seahawk helicopter which further enhances its anti-submarine, anti-surface warfare and search and rescue capabilities. 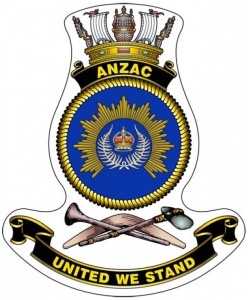 Anzac was launched by the distinguished Australian army nurse Lieutenant Colonel Vivian Statham (nee Bullwinkel), AO, MBE, ARRC, ED, FNM on 16 September 1994. During World War II Sister Bullwinkel displayed enormous strength, compassion and fortitude after surviving the Bangka Island massacre that took place in the Dutch East Indies, in February 1942. The sole survivor of the ordeal, she endured several years as a prisoner of war of the Japanese before being liberated. Her selection as launching lady personifies Anzac’s official ship’s motto ‘United We Stand’. Since commissioning at Station Pier, Port Melbourne, on 18 May 1996, Anzac has seen extensive operational service both in Australian waters and around the globe encompassing the full span of maritime operations. In 1997 she intercepted and apprehended two South American commercial fishing vessels poaching in one of Australia’s most remote exclusive economic zones surrounding Heard and MacDonald Islands, some 2,200 nautical miles south-west of Perth. This was followed in 1999 by her involvement in a major peacekeeping operation in East Timor when she formed part of an Australian-led international force, raised to provide humanitarian and security assistance to East Timor following the onset of violence in the wake of a referendum for autonomy from Indonesia. Anzac was one of a number of RAN vessels that provided maritime security in support of military operations ashore. This deployment saw her receive the campaign award EAST TIMOR 1999. 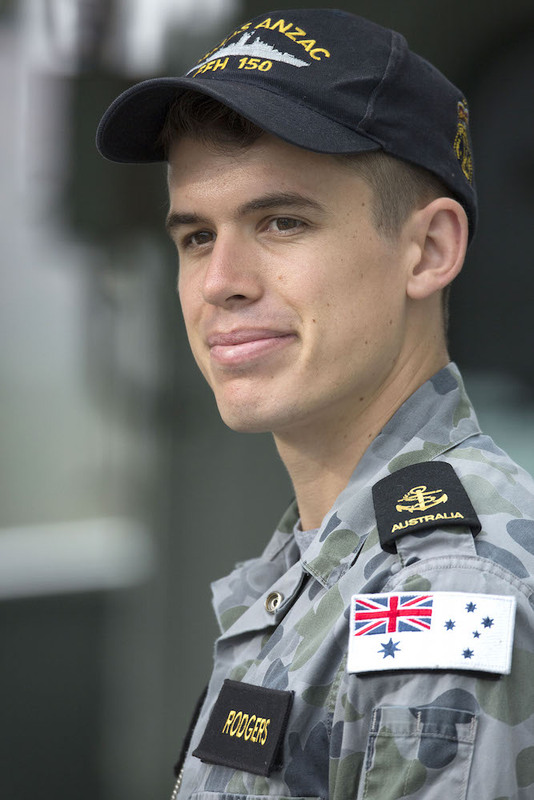 Anzac has since deployed on three separate occasions to the Middle East in support of the US-led coalition to enforce maritime security throughout the region. During Operation FALCONER in 2003 she played an important role providing naval gunfire support to Royal Marines during the assault and capture of the Al Faw Peninsular, Iraq. In recognition of that deployment she was awarded a Meritorious Unit Citation and the campaign award IRAQ 2003. In 2005 Anzac completed a global deployment (NORTHERN TRIDENT 05) that saw her represent Australia at Gallipoli during the 90th anniversary of the ANZAC landings at Gallipoli. In company with warships of Britain, France and Turkey, Anzac provided a stunning backdrop to the official dawn service ceremony whilst some members of her crew participated in the services ashore. During NORTHERN TRIDENT 05, Anzac also celebrated the 200th anniversary of the Battle of Trafalgar in the UK as part of an International Fleet Review. Anzac has the privilege of being granted freedom of entry to the City of Albany, Western Australia, from where the first ANZAC convoy sailed for the Middle East in 1914. She also enjoys a close association with the City of Rockingham and the nearby Warnbro High School which has established the HMAS Anzac Learning Centre to promote the education of our navy and the history of Australia’s most costly war. 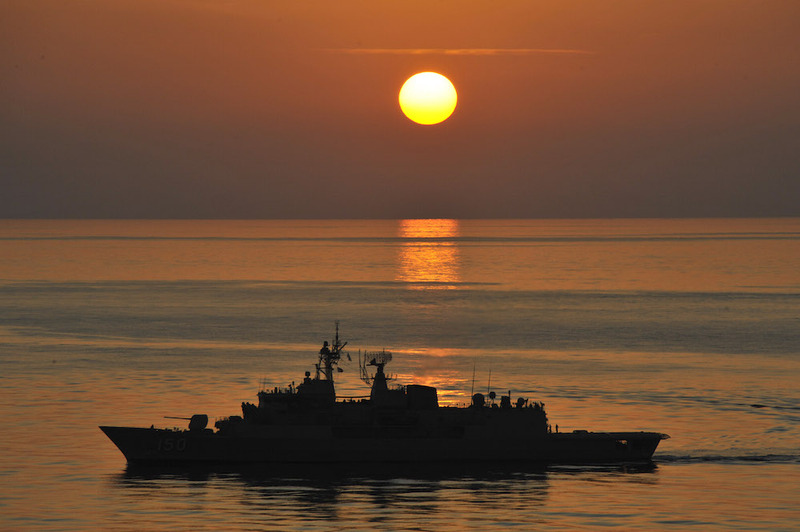 HMAS Anzac patrols in International Waters in the Middle East Area of Operations. In 2014, Anzac was the third of her class to complete the Anti-Ship Missile Defence upgrade program. This saw her equipped with an enhanced weapons and sensor capability designed and built in Australia. This year Anzac (Commander Belinda Wood, RAN) will undertake a second NORTHERN TRIDENT deployment during which she will participate in commemorative events marking the 100th anniversary of the ANZAC landings at Anzac Cove, Gallipoli. 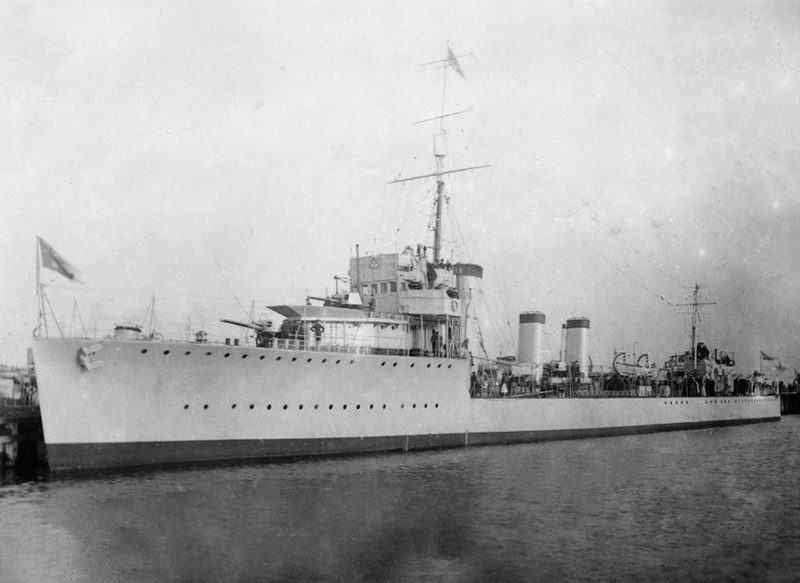 HMAS Anzac (III) in her upgraded configuration.